Dancing, The buses, and Cezanne !! 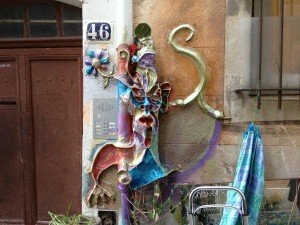 Aix en Provence things to do! 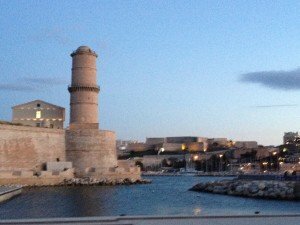 Recently we made a trip to Aix or X as is the most commonly know pronunciation. 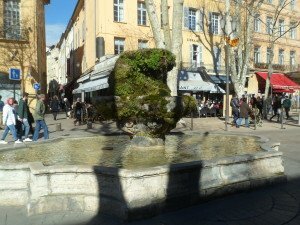 As Usual, we wanted to find, in Aix en Provence things to do. We generally don’t do a great deal of research but our interests include painters, architecture, and dancing. To name just a few interests!!. 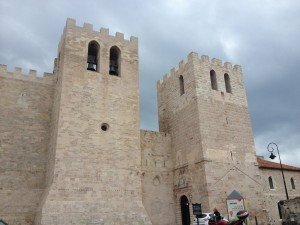 We found lots to see and do in the small town (City) and it is a lovely place just to meander through the streets. Whilst doing just that, we found many places to visit just on foot. 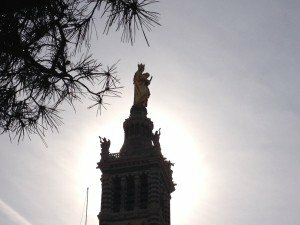 The Cours Mirabeau is a great boulevard in X and runs down the main center of the city. 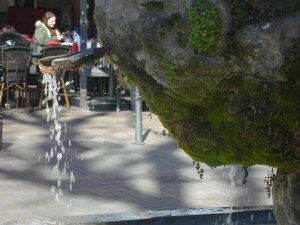 It is famous due to its many cafes and boutique shops and also the pretty moss-covered fountains. Perfect for people watching which is what the French just Love to do !! 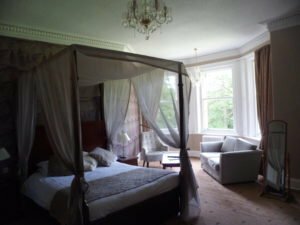 We are always on the look-out for Luxury hotels Scotland, and when we found the Roxburghe Hotel. We were not disappointed !!!. 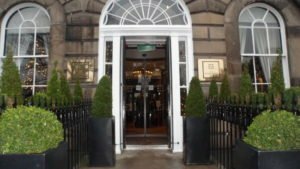 located on George street and a stone’s throw away from princess street and almost next door to Edinburgh Castle. The hotel is ideally located. We were so close we could see Edinburgh castle from the window in the hotel !! 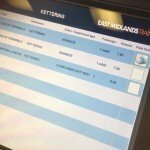 We love to travel by train and the East Midlands trains have it covered. They have a network from Derby right through to London. We have traveled first and also second class and both are just fabulous. They have always been on time and the quality or should I say standard is just superb. There is comfortable seating and the service is very efficient. If you would like to see the video please have a look !!! 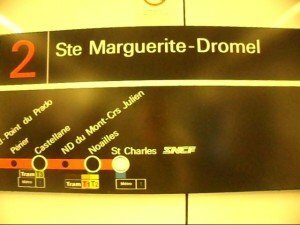 When we booked through the train website we were able to get a great deal. 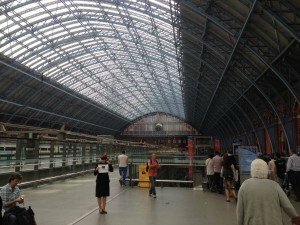 It does take a bit of time ferreting around and juggling timings etc but we found that we could get an outbound First class train ticket and a second class return for a better price than a second class return and the first class at the same price is most definitely a bonus. 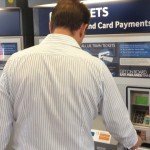 We got to the train station in plenty of time and as we had pre booked and paid, it was a matter of going to the self-service ticket machine. First of all the procedure entails entering your original payment details, I.e the MasterCard and booking reference sent originally by email. You need have to have both of these parts of information at hand so as to print the pre-paid tickets out. The process is very simple. To the first class lounge !! 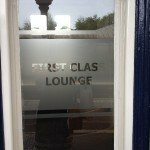 On obtaining the tickets you can make your way to the first class lounge on the platform to wait for the train to arrive. 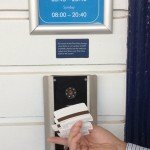 They have an intercom on the outside of the lounge and once you press the button, and since you can’t get in without showing the ticket to the ticket office. They will ask to see the tickets which you show up to the web cam and voila you can now enter the lounge. 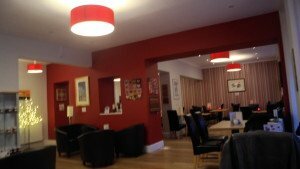 The lounge is comfortable and has tea and coffee-making facilities and also some snacks. (yum yum)….. We had some biscuits and some crisps couldn’t resist !! even if my hips say no No No. There are also papers to read, just in the off chance you get bored. When the train arrived we went to the first class carriage and the first thing you notice is the lovely leather seats that recline slightly. There is also free wifi connection (especially great for the business traveler ) The second class has wifi but you need to pay additional through your phone online. 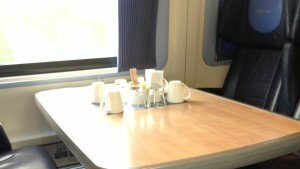 Once the train starts the snacks cart arrives offering tea, coffee and soft drinks plus biscuits, nuts or chocolate. This is not the only time it seems and quite honest I am glad I wasn’t on a diet that day. It is very tempting to keeps saying yes to chocolate ! !., They do also come around about 4 times in a trip that takes just over an hour well what can I say, it’s like piggy heaven ha ha !!! 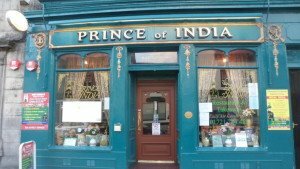 5 Great places from Asian to Pub Grub, where to Eat in Peebles ? We have fallen in love with Peebles market town, it has some great places to dine and we have only scratched the surface. 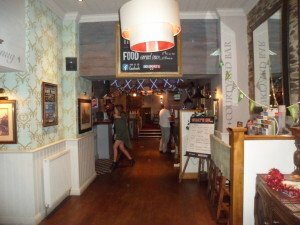 we are always on the look-out for where to eat in Peebles on our many visits. lance had the mixed grill which in his words was delicious ( I’ll take his word for that). I had aloo gobi which is cauliflower and potato in Indian curry spices. 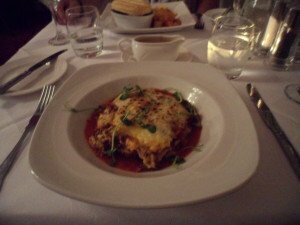 I also had the mutter Panneer, which is an Indian goats cheese with peas in a rich curry gravy yum yum. Could eat some right now. As accompaniments we had a Peshawar nan, tastily filled with spices and raisins inside nan bread. 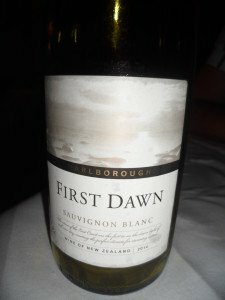 We had a bottle of Stoneburn wine (Sauvignon blanc) which was a lovely subtle crisp wine which went down well with the spicy food. 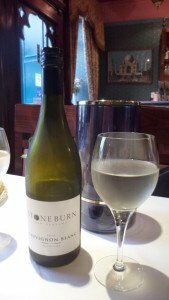 Lovely Stoneburn wine crisp and dry !! Great food but it is a little on the expensive side !! This is the most we have ever paid for an Indian dining experience in the Uk. 2. Mercat View ( second visit and the question again was, where to eat in peebles? 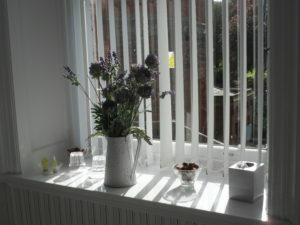 The Mercat view is a semi hidden gem being located next door to the John buchan museum. Getting inspiration from Mr Buchan, you feel you are climbing 39 steps to the restaurant but well worth it. 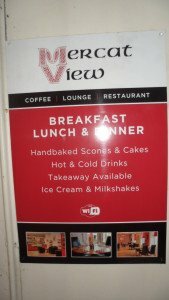 The restaurant has good views over the high street and is very nicely decorated. 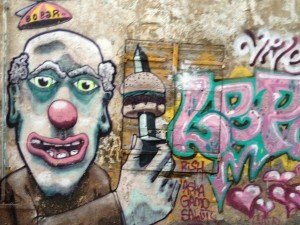 They support local artists and as a result have some lovely art works displayed on the walls, which we thought was a nice added touch. Mercat view inside restaurant Peebles town !! The food was superb, fresh and all home cooked. We started with the Nachos and even these were hand-made so really fresh and a treat from the pre-packaged nachos. I had the vegetable stack as a main and although good, could have had more vegetables than the mostly aubergine, and lack of any other veg ! !.But the flavor was there. Vegetable aubergine Pie tasty !! 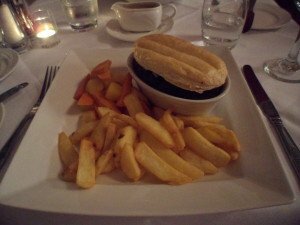 My partner had the Steak and Stilton pie with chips and vegetables, which in his words was lorvvvvvelly !!. so I guess it was really very good !! ha ha. 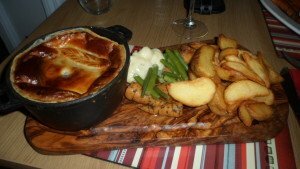 Steak and stilton pie Yum yum !! 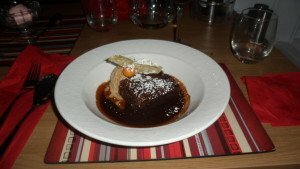 To top the night off I had a chocolate brownie, which was lip smacking good and oh so gooey yum yum !!. ooh could eat some now just thinking about it. Choc Brownie yum Yum !! 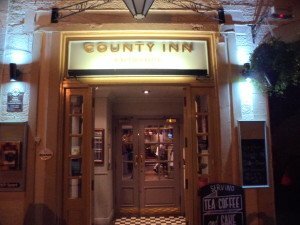 We are not really into the franchise style pub dining experience, but we decided to try the county Inn as they had a fantastic offer on. The offer was so good we forgot to take pictures of food, Oh that and the fact Scotland was playing Poland in the football. The deal was 2 rump steaks, chips and peas for £ 19.99 including a bottle of house white ( we normally pay around that just for the wine). As I am not a fan of rump steak but I do love chips. I ordered a macaroni cheese and as I would normally order chips I didn’t need to. I therefore had the chips and my carnivorous partner ate 2 rump steaks (Henry the 8th anyone ha ha). I also ordered peppercorn sauce to go with the steak and had that on my chips delish!!. The waitress did laugh when she came with the dishes and said ” well you guys certainly worked the system”. I thought to myself it’s the Scottish coming out in me. Well I am a Celt even if I am not Scottish. We stayed on after we ate the amazing food, as it was quiz night. In our true style and form, we were awful !. Just glad that we were alone !! oh the peer pressure ! The food was surprisingly Very good and we would definitely go back again. 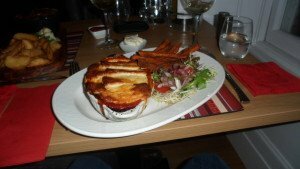 Another place in where to eat in Peebles town was the Tontine, on the outset we thought it maybe a little expensive and we passed it a few times. 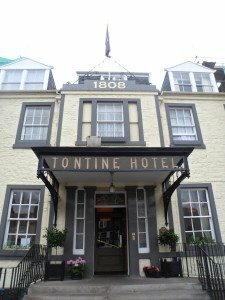 The Tontine is a lovely hotel and very classy. To look at the hotel itself it is not that inspiring but on entering you feel completely different decorated to a very high, modern standard and is really very plush!!. The staffs are also very highly trained and sharply dressed ( very dapper). The food was superb!!!. We ordered a wine labelled First Dawn another Sauvignon blanc which was light crisp with gooseberry notes, went down very well. 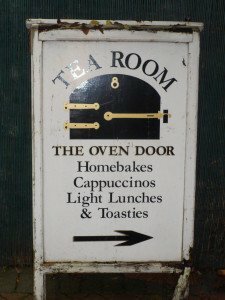 Last but not least was the Oven door, this is a little hidden Gem of a cafe that we found down one of the allies off the main peebles high street. Very warm and cosy with a real mumzy feel to it. Superbly decorated with flowers and quaint homely pictures. The old oven bakers door and oven is still in the building and has been polished and blackened to a high standard of the days of old. The atmosphere is very welcoming and was quite busy even though it seemed tucked away. So if you are looking where to eat in peebles? I hope this helps a little. lip smacking good food !! Friars carse four poster bed, a Very romantic spot !! or you can Fish !! 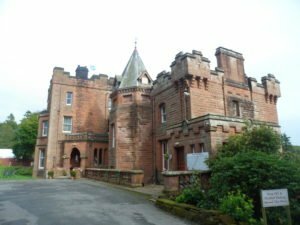 Friars carse, Auldgirth is a 19th century country house set within a fantastic location in the heart of Dumfriesshire. The hotel has a very olde worldly feel to, so it’s like walking into an old house of days gone by. In the day when houses like these were almost always owned by the Lord or Laird and has an enchanting nostalgic feel. The oak wood paneling and decor have kept that solid strength of character. It reminded me of a hunting lodge that has now been softened by the touches of flowers and colour. Then of course there is the friars carse four poster bed that adds to that romantic feeling. 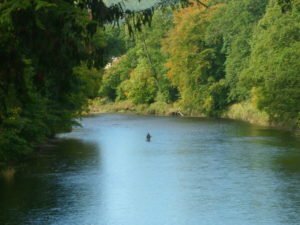 Known as a fisherman’s paradise with easy walking distance to some of the best fishing in Dumfriesshire. 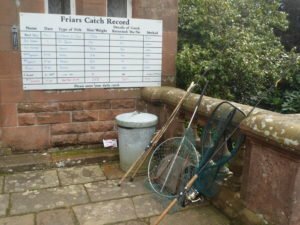 You can catch grayling, brown trout and also sea-trout. 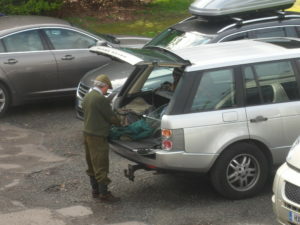 Many have even been lucky to catch a Scottish salmon, in the one mile private fishing of the nith directly outside the hotel. 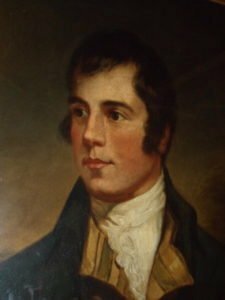 Robert burns the famous Scottish songwriter and poet visited the Friars carse frequently and was a regular house guest. It was at this hotel that a famous drinking competition took place in the whistle, restaurant. Robert burns was a spectator to this event and later went on to put it into verse. Robert burns home located only one mile and another of his regular haunts was the burns hermitage located in the grounds of friars carse. It was in the burns hermitage when he stayed that he wrote on one of the windows with a diamond-pointed pen ” to the memory of Robert Riddell”. The then owner of Glenriddell, the place changed name to friars carse in 1895 when new owners purchased it. 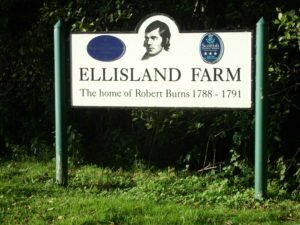 There is a trail named after Robert Burns that goes from the friars carse hotel to Ellisland farm ( home of Robert Burns) taking in the burns hermitage, and is known quite rightly as the burns walk. 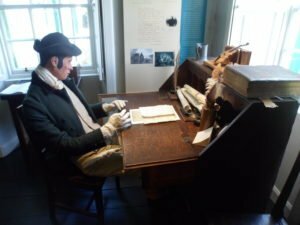 When arriving at the Ellisland farm you can visit the museum or walk around the farmhouse. The tour is fantastic and the walls are also brought to life by fabulous portrait paintings of Robert Burns. As you walk around the farmhouse you feel a sense of the tranquility in which Robert Burns loved so much. His desk is in the library and has a beautiful view of the Nith river. 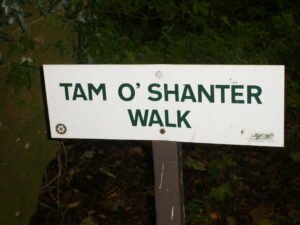 In the library you can also view some of his legendary and famous works, such as ” Tam o Shanter” and the ” wounded hare” many of these works being written while in the quiet observation of nature and the people around him. He also wrote auld lang syne, which to my shame I didn’t know !! 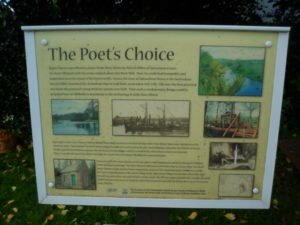 It is such a great place to visit to get a feel of the poet. He did seem a little like a bounder though and had many lady friends. According to the Guide Joanna lumley loves to come to this part of the world and to the Ellisland farm. Apparently many of the tourists that come are Americans and they have a soft spot for this famous man. For more information click here for great deals !!! Even if you do not have time to visit the Ellisland farm , the friars carse four poster bed, room is the best in the house and the views are just spectacular. For other hotel deals in the area check out the Deals page below. 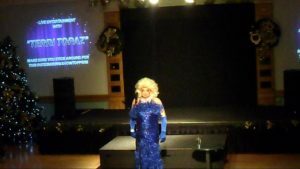 Derwent Hotel Torquay – Family, comedians and Dancing Wow !! We have stayed at the Derwent Hotel on many occasions and over various seasons. We were very impressed by this 3 star hotel and because of the facilities it provides. 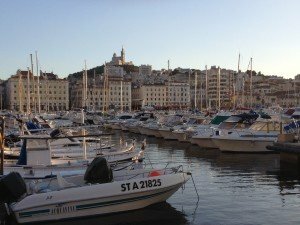 Most of all it is a very handy walk to the town center and also the beautiful beach of Torquay. If you’re lucky you might even see some of the amazing sand art, done by a local enthusiast. 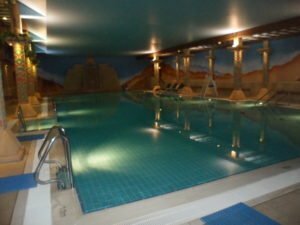 The Gym, swim and spa area in the Derwent hotel were also perfect. There is a large 25 meter pool ideal for swimming lengths and adjacent to it there also a kids pool. The jacuzzi in the same area is very popular. 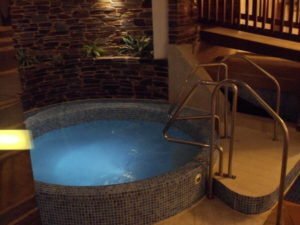 we loved taking a soak and relaxing in the bubbles and warm water that soothed our aching muscles after dancing or touring around. Furthermore we love to Dance and the starlight lounge at the Derwent hotel which has superb entertainment with some great comedians. 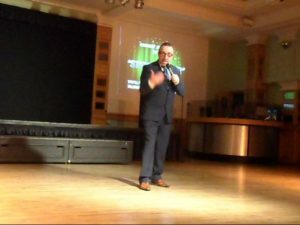 We especially liked ‘Kevin bunclark’ who was absolutely fabulous and had us in stitches with his Irish skits and the many array of hats to fit every comedy act. I was so enthralled I forgot to take a photo !!!. Although I do have one of Terri Topaz the transvestite act and he sang quite well. The dance floor is a good size for ballroom, jive and sequence dancing and because all the entertainment is on site, it’s only a matter of a walk from your hotel room. This way you can have a drink without worrying about such things as driving etc. We have yet to do an organized entertainment weekend and we will probably look into this. The selection sounds perfect ranging from tribute bands to cabaret acts and Big Band for ballroom dancing. 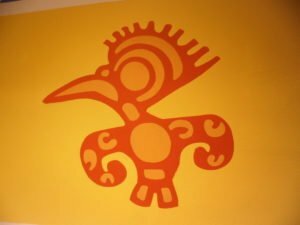 The aztec Games room at the Derwent hotel is a complete compendium of games and activities. 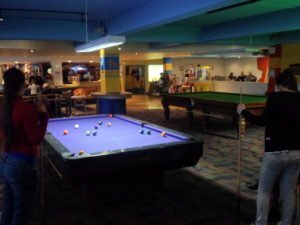 There is a 10 pin bowling alley, pool/snooker tables, table tennis tables and also lots of interactive arcade style games. 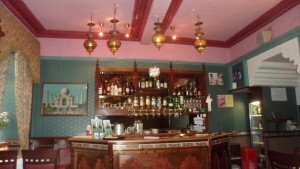 The Sports bar was a welcome relief as we could have a beer whilst playing pool etc. We found it the perfect place if the weather wasn’t great outside or just to while away some family fun hours. 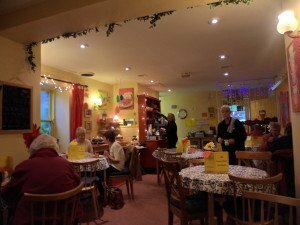 The breakfast was in a large dining area and consisted of a buffet style help yourself with waitress service for tea and coffee etc. There was plenty of fruit, cereal and a fully cooked english breakfast. It was also very nice !!! 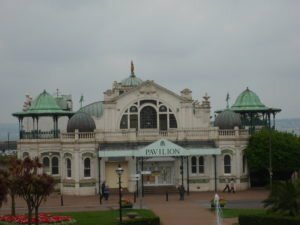 Just thought I would add a picture of the lovely Torquay Pavilion, undergoing restoration at the moment. We will have a look inside once it’s all done. If you do decide to stay at the Derwent Hotel Torquay. I hope your trip was as enjoyable as ours was. Happy travels.